Invacare Shower Chairs Review: Are They for You? Showering is a necessary part of personal hygiene as well as an enjoyable way to wash away the cares of the day, but as individuals age, it can go from a pleasant experience to a risky task. Falling in the shower can be a real danger, especially for people who may not be as steady on their feet as they once were. Luckily, there are ways to avoid this. Invacare offers shower chairs that can help make showering an easier experience. Read on to see if an Invacare chair could be a good fit for you. How Do Invacare Shower Chairs Rate Overall? What Benefits Do Invacare Shower Chairs Feature? 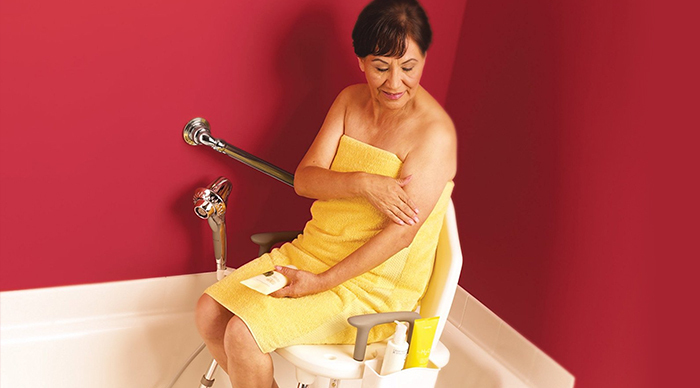 How Can Using an Invacare Shower Chair Be Beneficial to the Elderly? 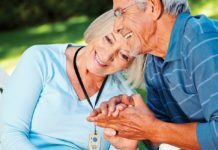 How Does Invacare Compare to Eagle Healthcare? Invacare shower chairs are a simple solution to the dangers of falling in the shower. 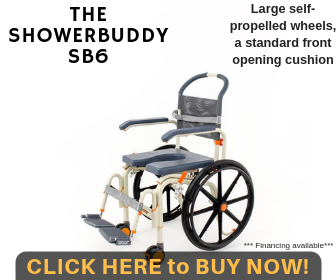 A great all-around shower chair, they can be affordable as well as effective. Available in two main styles, a chair with a back and a chair without a back, both are fairly versatile and should fit well in most tubs. Invacare Shower Chairs seem to be a quality product that many people can benefit from. The Invacare Chair With Back rates a high 4.5 out of 5 stars, while the Chair Without Back rates 4 out of 5 stars. If you’re looking for a good product for a decent price, then this could very well be the right shower chair for you. 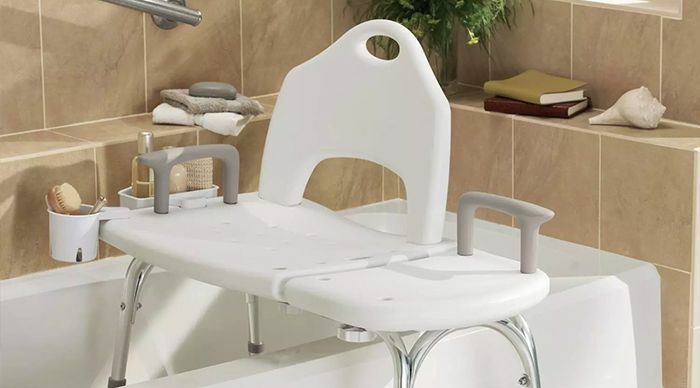 Not just your basic plastic chair, a good shower chair is a specialized piece of equipment that is made to grip the surface of your shower or tub without moving or sliding. Shower chairs can minimize the strain and risk of showering for individuals who are not very steady on their feet. The surfaces of showers and bathtubs can be slippery and falling down can be a real danger. A shower chair can make it easy to relax while showering by giving you the opportunity to sit down, eliminating the fear of falling down and allowing you to truly enjoy your shower. With a stable design that is contoured to be comfortable to sit in, Invacare shower chairs are easy to use and require no tools to set up. Invacare may have just the products to meet your needs. Their chairs require little maintenance and should offer plenty of support and stability. For elderly individuals, shower chairs can be a great way to make sure you can take care of all your hygiene needs and stay independent. As individuals age, taking a shower can go from a simple, enjoyable experience to a dangerous task. There can be a high risk of slips or falls on the wet surface of a tub or shower, which raises the risk of serious injury. Shower chairs can be a great way to help keep showing a safe and comfortable experience, as they decrease the risk of falling and take the strain and fear out of bathing. Lot of very positive reviews, with many people saying that it was a good, sturdy chair that worked well for their needs. A few people had problems with the backrest loosening after repeated use. There were some issues with the legs splaying out during use. 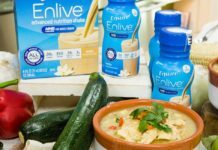 Other reviews were mostly positive, with many individuals pleased with how easy the product was to assemble, move and use. 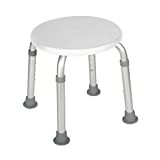 While less bulky than the chair with a backrest, this product can still take up a lot of space. Contains Microban which resists the growth of mold, mildew and bacteria that cause stains and odors. Features tool-less assembly - snaps together easily in seconds! 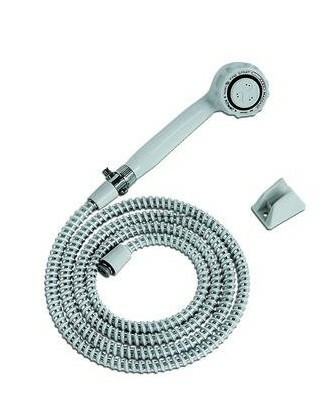 Eagle Healthcare can be another top brand that offers shower chairs as well as other care products. 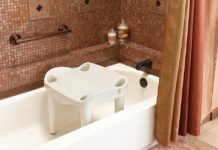 Some of their shower chairs are larger than Invacare’s, and while they may support more weight, they can also take up a lot more space in the bathtub and may not fit in a normal-sized tub. 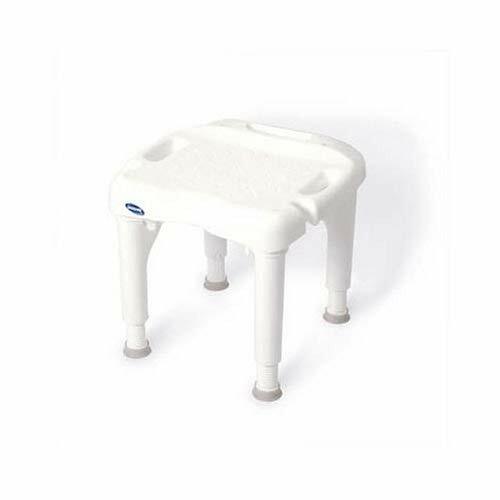 There were several comments on Amazon from customers who couldn’t get Eagle Healthcare’s chair to fit in their tub. Invacare’s shower chairs can be substantially less expensive than Eagle Healthcare’s and may fit better in an average to smaller-sized tub. That being said, Eagle Healthcare’s chair may be a better a better buy for larger individuals who could benefit from the extra room and support. 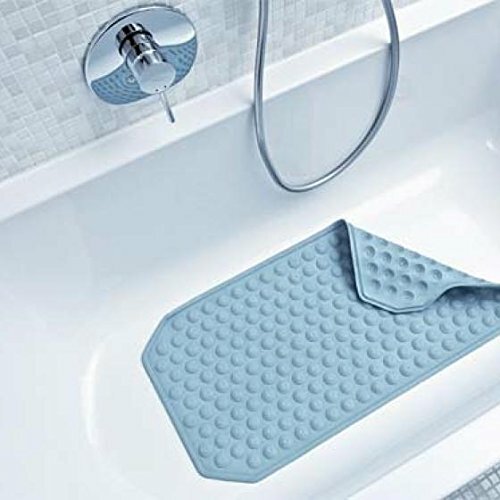 Bath mats can be a great way to add another layer of grip between your feet and the tub to further reduce the dangers of slipping. Invacare mats can be large enough to cover the entire floor of a tub. 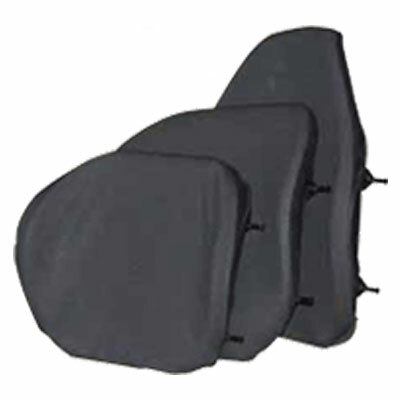 Invacare back supports are durable and made to be comfortable to use, no matter your size. They are easy to keep clean and have very few places where bacteria or mold can grow. The Invacare Delux Hand Shower can make it even easier to get clean from the comfort of your shower chair by allowing you to bring the water to you with a convenient hand sprayer. The head of the sprayer can be adjusted to be used for gentle cleaning or as a massage sprayer. It comes with brackets to attach it to the wall of your shower. With Back and the Invacare Shower Chair Without Back can be a great way to stay safe and continue to be self-sufficient while washing up, even if you aren’t quite as steady on your feet as you once were. You can also try pairing shower chairs with other Invacare products to further improve your quality of life and ability to shower worry-free. For elderly individuals, Invacare shower chairs can be a great way to make sure you can take care of all your hygiene needs and stay independent. 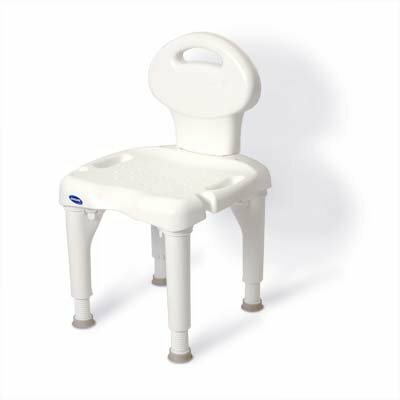 It has a stable design that is comfortable to sit in and easy to use. 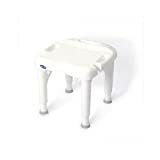 Many users of Invacare gave positive reviews and said that it was a good, sturdy chair that worked well for their needs. While on the other hand, some also had problems with the backrest loosening after repeated use.